After the Thanksgiving of 1999, my husband, Jerry came home from work with the news that his friend had offered to let our family use his new townhouse in Miami for the Christmas holiday. He and his wife had only been there once. We happily packed our bags and were off. 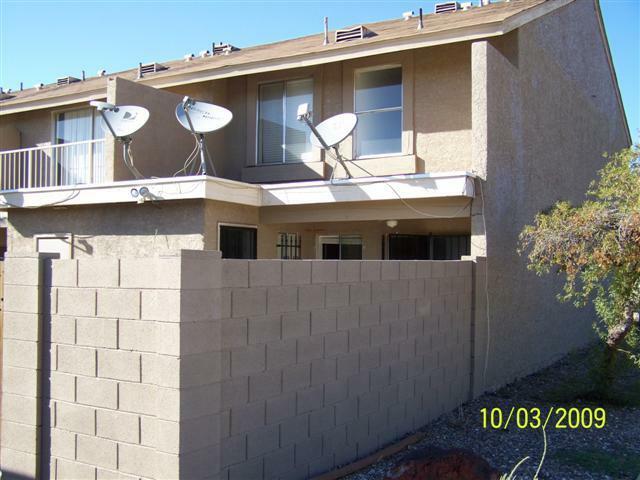 The pristine townhouse had all new furniture and was located in a new development in a Hispanic community. We enjoyed seeing the area’s highlights. After breakfast on December 31st, I put the dishwasher on. We heard rain but how could that be – the sun was shining. Water was pouring from the garage ceiling. There was no handyman about. We got pots, pans and mops and eventually the deluge stopped. What would we tell Jerry’s friend? As we started our New Year’s Eve celebration, we noticed an odor coming from the bathroom. Poo! Yes it was poo backing up into the tub. We heard the family next door celebrating New Year’s Eve as Jerry had the disgusting task of plunging the bathtub. That same night, Emily awoke in intense pain and we decided we had to take her to the E.R. Twelve year old Robert was deep in sleep. We left him a note just in case he got up before we returned. Jerry stopped plunging and he knocked on our neighbor’s door to get directions to the nearest E.R. The E.R. was dirty. No one spoke English. It took forever for them to get an interpreter. Lines of drunks were sleeping it off. An old woman on a gurney kept asking passers-by to shake her hand. The doctor was an unfriendly, ugly man with dirty hair and a triangular nose. Emily had refused an injection to relieve her pain, and they had no triage. He said there were three drunks to look after before he would see Emily. “We have a first-come, first-served policy”, he said as Emily was writhing in pain on a gurney. Smoke was coming out of my ears. I asked the nursing staff to help, but they seemed reluctant. There was no administrator available. A security guard approached Jerry and said I had to leave the E.R. I wasn’t going to leave my daughter in the E.R. With his hand on his gun holster, he escorted me to the outer corridor. Eventually, an English-speaking nurse came out, and said that she was subbing at the E.R. just for the night. She agreed that this was an awful hospital. If any medical procedure was necessary for Emily, this Florence Nightengale said she’d take us to the hospital where she worked. Emily had taken her medication. There was a reduction in her pain. A while later, the same nurse said that Emily had passed a kidney stone and she was getting ready for discharge. A tired Emily and her shaken parents drove to the townhouse, picked up Robert and drove to the airport. When we left, the garage ceiling was still leaking and beginning to fall and there was lots of poo backed up in the tub. You’re right…that was the world’s worst vacation!